Dream is the right word for what we think we observe in this novel. Something poisonous is going on involving two mothers, their children, and pollutants that have entered the soil and water in a countryside that should nourish farmers, ranchers, and vacationers. The cycle of life has been profoundly disrupted and neither residents nor visitors can or will speak of the horror in the vacation wonderland. It looks as though some kind of paranormal witchery is being considered a kind of cure. Americans lived through a history of environmental pollution and subsequent corporate denial for years in the 1950s-1960s until regulations put a halt to the most egregious flaunting of public health. The public became savvy, protesting when agriculture, methane, coal, oil, gas or other byproducts left a mark on their communities. But we rarely saw what happened in other parts of the world where the legal infrastructure was not as developed and the public not as well-educated in the ways profits become manifest. The story is told in a unique way. The action is all past; a woman, Amanda, is in the hospital. She has a young boy speaking to her in imagination if not in actuality. The young boy encourages her to remember…to remember the sequence of events that led to this moment. Amanda and her child are staying in a vacation home in the country; while waiting for her husband to come on the weekends, they invite an interesting-looking local woman, Clara, and her son over to talk, play, and drink maté. The strangeness comes from the juxtaposition of the hospital setting with green fields waving in a warm breeze, a cool creek, the hot sun sparkling on an outdoor pool, the languid slap of a screen door, a gold bikini, a young daughter chortling and repeating to herself, “we adore this.” There is unspoken menace in everything recalled by the woman now lying in the hospital, and the young boy she speaks to makes it sound almost as though she still had a choice…a choice she could make to prevent her imminent death. 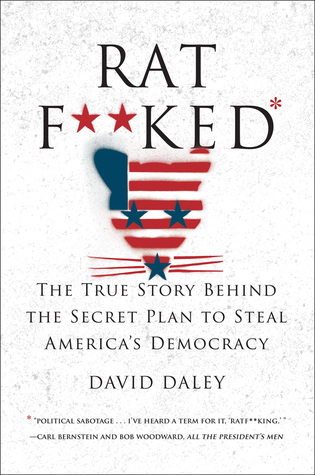 "This story could be set anywhere. In fact, the first time I heard about pesticides and their terrible consequences was through a documentary about this subject in France. But, mainly because of corruption, Latin America has the worst agrochemical regulations and agreements. And Argentina, in particular, is one of the biggest importers of soya—one of the products more related with pesticides. We spread this soya all over the world; it is the base of a lot of our food. Soya is in everything: cookies, frozen fish, cereal bars, soups, bread, all kinds of flour, even ice cream!" The pollution already permeates the soil and water, is what Schweblin is telling us. It’s not like stopping now is going to change anything, but the tension in this novel may indicate there may be a way to forestall an inevitable end. Originally from Buenos Aires, Argentina, Schweblin apparently now lives and writes from Berlin. 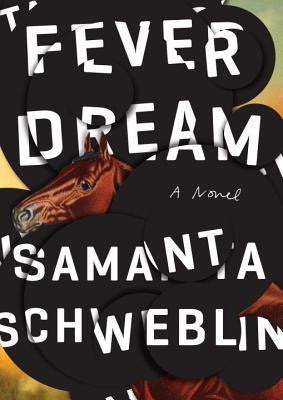 Fever Dream is her first novel, originally published in 2015 and winner the Tigre Juan Prize which serves to draw attention to a worthy lesser-known author. She has three story collections besides this book. 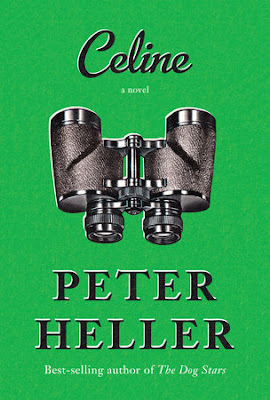 The standout difference between this book and Heller’s earlier works, each of which have been different from one another in terms of genre-type, is that this book is longer. The length did not improve the experience for this reader. The novel could have been pared further, words rearranged for elegance or streamlining, but Heller's work doesn't strain. There is something to be said for not taking oneself or one's work too seriously. 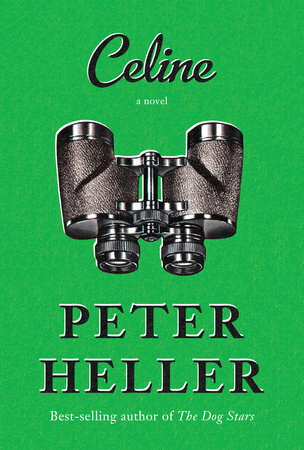 Regardless, I thought this a wonderful mystery/thriller and would gladly enter into conversation with Heller again. His painterly attention to detail, fulsome imagination, and his locales are hard to pass up. It turns out that the novel is a thinly-disguised memoriam of Heller's mother, who sounds like a very special person. Two articles explain the connection is here and here. What do people talk about when we talk about race? This remarkable debut YA novel reflects the mindset and confusion of a sixteen-year-old African American girl, Starr, who witnesses up-close-and-personal a police shooting one of her childhood friends, Khalil. Starr lives in a black neighborhood, Garden Heights, but attends a private mostly-white high school an hour away from her home. Her relationship with her white schoolmates becomes a feature of the story. The clever way Thomas sets up her character list allows us to experience Starr’s own disappointment and dislocation when Khalil is described as a drug dealer gang member to make the cop look less guilty in the eyes of the community. Thomas is especially good at describing a case that is not so completely clear that we can do without the officer’s testimony, but it soon emerges that his explanation, that he thought he was in danger, may have been because he saw a[n unarmed] black man and was afraid. The YA nature of the material is useful to Thomas’ purpose because young people are not as close-lipped and cautious as adults and haven’t completely formed their worldview. Starr is still learning how the world works and she can be a little naïve and verbalize her learning experiences, and talk them over with her family and friends. We hear the things she is thinking, the things that bother her, the things she ultimately believes. We can hear her discuss in an utterly realistic way one’s first impressions when confronted with her father’s own prison time, Khalil’s drug sales, Devante’s consideration of gang membership. Extenuating circumstances in each of these situations completely change our view of events and make readers realize how important perspective is when considering lifestyle and crime. Starr’s mother wants to leave the neighborhood for the suburbs to escape the drama and death of Garden Heights but Starr’s father refuses. This particular argument I have been waiting years to hear reasonably articulated, and Thomas does it well. A new film, Get Out , was just released this month, directed by Jason Peele, a comedian who made his name as one of the Comedy Central duo Key & Peele. The work of these two bi-racial comedians focuses on how white folks are perceived by black folks, and black culture. Their work is funny, not mean, and meant to educate through humor. Thomas does something similar, with Starr articulating those micro aggressions she sustained at school, and with the police…but she is also able to articulate the assumptions, jealousy, and misunderstanding of Starr’s black friends about her opportunities outside of the neighborhood. This is all very well done: pointed but inoffensive. Thomas says “I want to write the way Tupac Shakur raps”, her title coming from one of Tupac’s torso tattoos. She manages to include an enormous amount of nuance and expression into this novel without making it seem overdone. She throws a lot at us in a short time, giving our emotions a workout. She’d give TV writer and producer Shonda Rhimes a run for her money. Thomas’ characters are realistic if not completely developed, certainly not mere stereotypes. Thomas is helped in her portrayals by an extremely talented narrator for the audiobook, Bahni Turpin, whose proficiency with voices and accents goes far beyond the ordinary. The audiobook is an excellent choice for this material, produced by HarperAudio. Below find an excerpt. 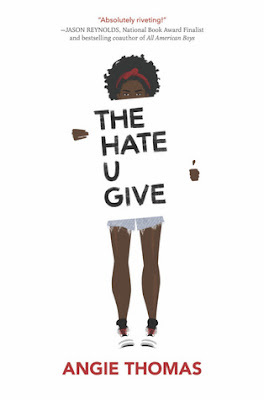 I am not a fan of the more talky aspects of YA novels, and I was horrified with the school fight Starr was involved in, and Seven’s tendency to think first of throwing his black body physically against the forces that subjugate him, whether they be a gang leader or a white cop. This is definitely not in my experience and I’m not sad about that. Unfortunately I suspect it was an accurate depiction of how things get resolved in Garden Heights, though Starr's fight happened in the private school. This can’t be a useful habit to carry forward, but these incidents were not adequately editorialized in the novel. I will, however, admit to being completely impressed with the skill with which Thomas composed her story. 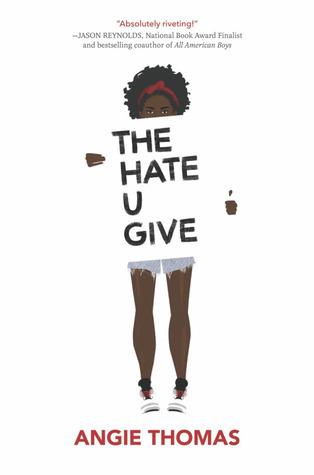 She packed in a great deal of human experience on both sides of the color divide and helps readers come to terms with a very difficult and important topic: police intimidation, excessive force, and shootings of unarmed black males. At the same time, she invites us to look at her life, the culture in the neighborhood, and the thought processes of folks who make choices different from white folks in the suburbs. 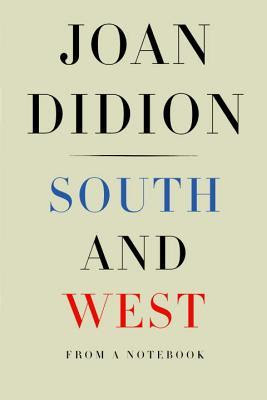 With literature like this, we get clues to how we can get to know each other better, considering the historic segregation of schools and neighborhoods. Racism, conscious or unconscious, is no longer acceptable to the majority of Americans. It should have ended long ago—by law it had, in practice it has not. Everyone who hasn’t studied up on what this means, can use books like these to make inroads into a greater awareness. Study up. Society is moving ahead. Many artists of color are going out of their way to light the road and explain these issues clearly from their point of view. 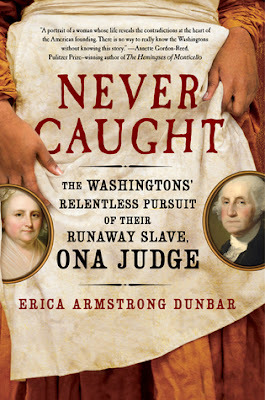 The book has been optioned for a film, purportedly with “The Hunger Games” actress Amandla Stenberg to star. Not long ago I reviewed a short memoir published by Petrushevskaya, The Girl from the Metropol Hotel: Growing Up in Communist Russia, in which I mused about rumors of her talent, never having read any of her poetry, stories, or novelettes. Petrushevskaya has a savage humor borne of long deprivation. Her work bears signs of torture of the spirit; she recognizes how to cannily exploit human weakness to stay alive. But she also has a huge umbrella of compassion which she holds over those she loves. Reading her work is a breathtaking experience. This collection is comprised of a novelette, "The Time is Night," and two shorter stories. The work altogether expresses every feeling of love, desperation, hope, and bitter despair that a mother can feel about her children in any country in any time. 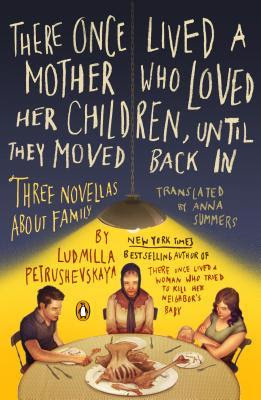 It is an epic, deeply funny, excoriating look at how the deprivations in Russian social, political, and economic life have worked loose the traditional bonds of family. It is compulsive reading. 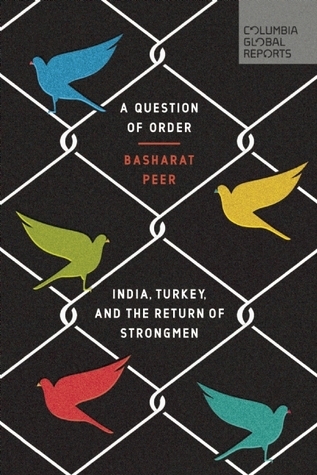 The work was published in Germany before it could be published in Russia, having been banned there. "It all seems like yesterday. I look back on my life—men are like roadsigns, children mark chronology. Not very attractive, I know, but what is, if you look closely?" "…her heroines are tired, scared, impoverished women who have been devastated by domestic tragedies and who see little beyond the question, How to raise a child? How to feed it, clothe it, educate it when there is no strength left and no resources?" When "The Time is Night" was finally published in Russia, it came out at the same time as the third piece, "Among Friends.” "Time…" is a novelette, its length over one hundred pages; "…Friends" is less than thirty pages, outlining a grotesque collection of viperish friends and former spouses, all calculating how and what they can score from knowing someone but paying no attention to the larger world outside their immediate purview. The incestuous theft and jealousy rife within the group is ghetto poverty: no one can break free of the poisonous atmosphere because they need each other. The story is a short quick shard that cleaves the heart, and leaves the reader gasping: it speaks directly to what some feel they must resort to “protect” their children. The second story, "Chocolates with Liqueur," is the one written the most recently (2002). Summers tells us it was written as a tribute to Edgar Allen Poe. The story itself is broken into five parts; I thought the story was complete after the first part which contains the most horrendous and coruscating engagement scene I have ever encountered, without us knowing it is just a continuation of the theme of how difficult it is to find a place to live. The atmosphere gets thicker, darker, and heavy with motive as befits a Poe tribute, and finishes pointing to "The Cask of Amontillado," thought to be Poe’s best short story. In that story Poe created a family motto suggesting that the family history is filled with acts of revenge: "Nemo me impune lacessit" (No one attacks me with impunity). Find Petrushevskaya's story somewhere and read it. It feels positively ancient, as though this were a story written at the dawn of time. The twist in the nature of marriage and family comes from the search for a safe place in a society where food, lodging, dignity are in short supply. Petrushevskaya is controlled She has seen it all and still gives us art. I don’t know which of these stories I like the best. She deserves all the awards and all the adulation. She is extraordinary.